News and feature stories gathered from the field. Some 1,070 qualified senior citizens, 80-years-old and above received P5,000 each as longevity award, Thursday. Mayor Felipe Antonio Remollo said that there will be another round of payout for those senior citizens who could comply with the requirements. City Public Information Officer Dems Demecillo said the City Social Welfare and Development Office estimated 2, 762 senior citizens aging 80-years-old above in all 30 barangays of the city, who are eligible and could each receive longevity award as additional benefit for most elderly. Demecillo said after Thursday’s distribution, some 1, 692 more seniors are going to receive their cash incentive in the weeks to come. Like Mayor Remollo, the sponsors of the ordinance Councilors Manuel Arbon, Lilani Ramon and Michael Bandal believe that monetary reward given to the senior citizens 80-years-old and above can be used to buy some of their medical needs and comes as an incentive for their general well-being. “This is consistent with the constitutional mandate for the city government to provide just social security programs for the elderly,” said Demecillo. Under the ordinance, the beneficiary must be a living Filipino senior citizen; at least five years resident of Dumaguete City, as certified by the barangay, provided his/her nearest kin or guardian must be a registered voter of the city; registered with OSCA; must not be more than 100 years-old; a registered voter of the city as of the recent preceding elections (unless physically unable to register); applied for this incentive award and can present a valid or acceptable proof of age such as birth or baptismal certificate and updated senior citizens registry at OSCA. Last December 2018, Mayor Remollo also directed the release of cash gifts to 8, 336 senior citizens, regardless whether they have pensions or not. This is in addition to 16, 605 indigent families and 769 Persons with Disabilities. In all, 25, 711 received cash gift from the city government last Christmas, the biggest of number of recipients ever. Dumaguete City is set to host a series of sports events that will lure more tourist-athletes and hordes of fans this April. Mayor Felipe Antonio Remollo has partnered with several private institutions to host at least four major tournaments. City Public Information Officer Dems Demecillo said the Dumaguete Dragon Boat Challenge will be held on April 12-14, which brings various teams from across the country such as Manila, Panay, Cebu, Davao, Cagayan de Oro, Tacloban and Bohol to compete along the shores of the Rizal Boulevard. Meanwhile, various softball and baseball teams will compete in the Little League Visayas Leg to earn a spot in the Philippine Series or national finals that will determine which team will represent the Philippines in the international edition. Also in April, the country’s top two rivals in the University Athletics Association of the Philippines (UAAP) tentatively the De La Salle University and Ateneo De Manila will face off in the most anticipated match at the Lamberto Macias Sports Complex, said Demecillo. He added that the Beach Volleyball on Tour in Dumaguete will be back with a bigger number of teams from around the country, which will vie for top prizes in several matches at the Rizal Beach Courts. “Dumaguete City is now considered as an emerging sports tourism hub in the country having successfully hosted international, national and regional events that attracted hundreds of thousands of visitors and generated hundreds of millions in revenues benefitting the local economy,” said Demecillo. The city has attracted athletes and tourists due to the presence of quality facilities, affordable cost of a living, conducive environment, strategic location, and enthusiastic hometown crowd. 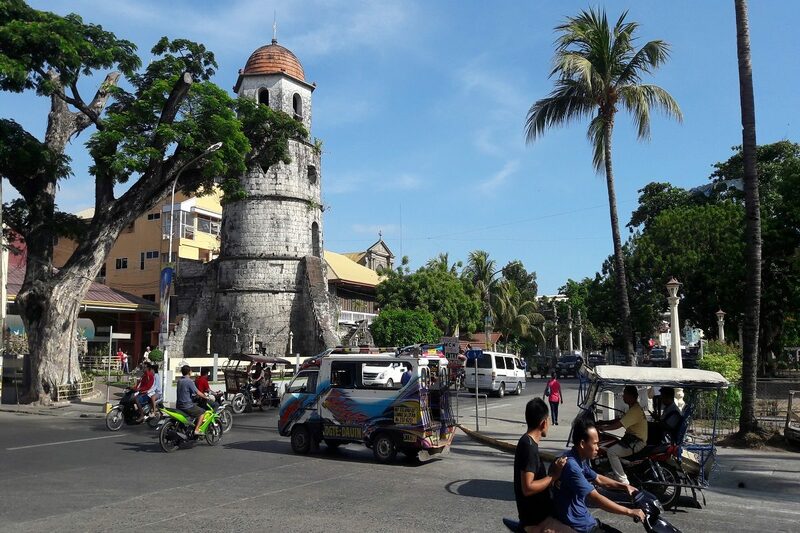 The Dumaguete City Tourism Office reports total visitor arrival of 706,689 for the year 2018, versus 615,861 for the year 2017 or 14.75% increase. In a bid to increase security, the city government has constructed two police outposts in both ends of Rizal Avenue, which is frequented by hundreds of locals and tourists. Said outposts will address public concerns on the safety of tourists and locals including incidents of vandalism. The entire stretch of the boulevard is lined with various restaurants one side and a long pathway for joggers, strollers, and runners on the other. PLDT has delivered 336 high end CCTVs for lease to Dumaguete City government which will be installed this April. The multi-million CCTVs are now stored in the command center, and Public Information Officer Dems Demecillo said the installation of the CCTVs will commence this month using state of the art fiber optic cables. All cameras will be installed in the eight Poblacion barangays by July to be followed by the other 22 barangays, according to City Hall sources. Demecillo said there are nearly 100 CCTV cameras that are capable of panning, tilting and zooming on the certain objects or persons a kilometer away. Mayor Felipe Antonio Remollo met with PLDT officials led by Jimmy Chua Assistant Vice-President of PLDT Visayas, Thursday, with other key city officials for the finalization of the project. The command center will be jointly staffed by the city government and PLDT 24/7 to ensure that the equipment will be in top shape. Per agreement with PLDT, the CCTVs will be upgraded based on the latest technology in the market. Mayor Remollo said that the CCTV project will help the authorities prevent and solve crimes, monitor the traffic situation and serve as early warning during calamities. Next project up, will be the installation of traffic lights system in major intersections and streets of the city that may utilize the existing fiber optic cables or any other proposal that will be advantageous to the local government, Remollo assured.